These pecan chocolate chunk cookies have to be added to your holiday baking list. Just don’t expect them to last until the holidays. 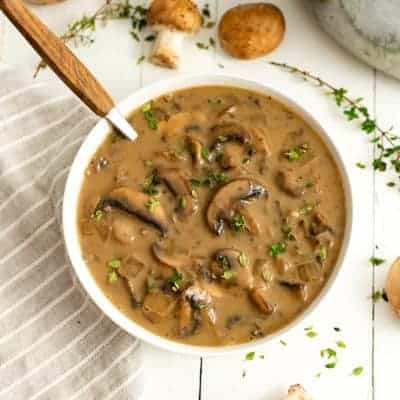 A healthy, simple recipe that is gluten free, grain free, paleo, vegan, and tastes decadent! These pecan chocolate chunk cookies will satisfy even the biggest sweet tooth. 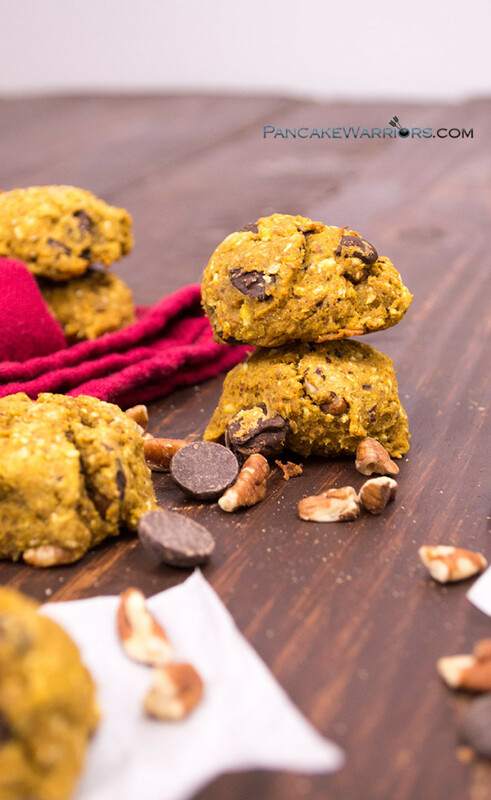 Healthy enough to eat for breakfast these cookies are packed with protein, fiber, and even some hidden veggies! Curious to find out? Chocolate and pecan is one of my favorite combinations. One year for Thanksgiving I made a chocolate pecan pie, it was literally to die for! .I’m pretty sure that was my favorite holiday pie I’ve ever made, but I also remember being on a crazy sugar high and binge eating half the pie in one night. So you might say I get pretty crazy with the chocolate and pecan combo. So I have found ways to make healthier desserts. Desserts that actually fill me up, instead of just empty calories that cause me to just search for more and more sugar. Maybe you feel the same way around all the holiday cookies lately – out of control and difficult to say no or resist those cookies in the fridge or freezer? Well make yourself a batch of these pecan chocolate chunk cookies and I promise you will feel full and satisfied instead of empty and a tad bit remorseful for eating everyone’s cookies. I have been teaching boot camp for the past 4 weeks and I have to tell you I have never been more excited to go to work. Well except for my job as a food blogger. Recipe testing, recipe creation, and of course getting to know so many of you through my recipe creation. My jobs could not be more exciting or fulfilling. Creating cookie recipes has been my break from creating healthy meal plans and testing recipes. Speaking of meal plans, I just have to brag a little on the feedback I’ve been getting over the past week. It’s incredibly rewarding to hear how much meal plans have helped people get a healthy dinner on the table every night. I think my favorite comment so far was “My husband even gave the veggies a thumbs up, and said I should make them again”. Comments like that seriously make my day! 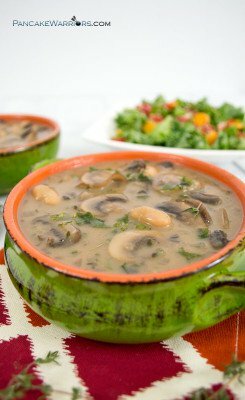 Interested in trying meal plans? Sign up here and let me know how it goes! I hope to inspire you to try something new with this pecan chocolate chunk cookie. 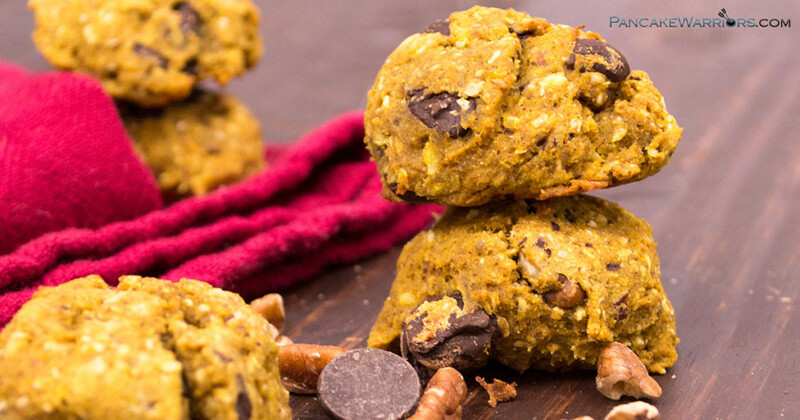 The cookies have a hidden vegetable in them – if you couldn’t tell from the pictures, they are full of pumpkin! What pumpkin? 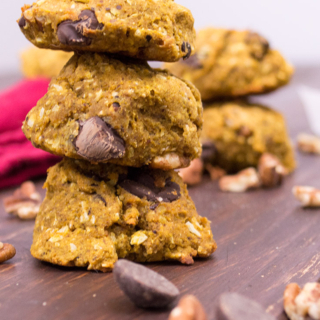 Well it’s one of my favorite bases for cookies, it’s low carb, it’s pretty neutral (meaning it doesn’t overpower a recipe) and it’s in season right now so I almost always have a half used can of pumpkin puree in the fridge. Knowing my tendency to eat all the cookies, I decided to keep the ingredients in these cookies as healthy as possible. Almond flour, coconut flour, protein powder, pumpkin, mashed banana and a little bit of coconut oil. These cookies seriously could be enjoyed for breakfast, and are probably healthier than the average toaster strudel or pop-tart, I’m just sayin! One of my favorite new protein powders is Nuzest Pea Protein. Have you tried it yet? First of all I have to say this is probably the best tasting vanilla protein powder I’ve had in awhile! The reason I switched to Nuzest is because many of the other vegan protein powders on the market have tested high in heavy metals (because of the soil these plants were grown in). 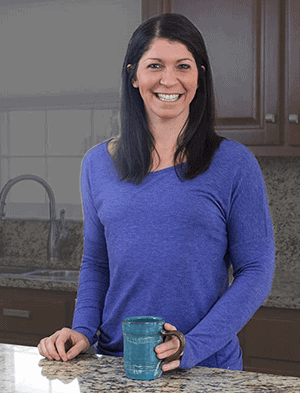 Nuzest goes out of the way to ensure their protein is the highest standard and doesn’t contain heavy metals. Also Nuzest doesn’t sweeten their protein, no stevia, monk fruit or sugar! It’s the best tasting protein on the market! 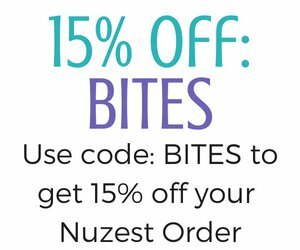 Get 15% off your next order of Nuzest using the code below! 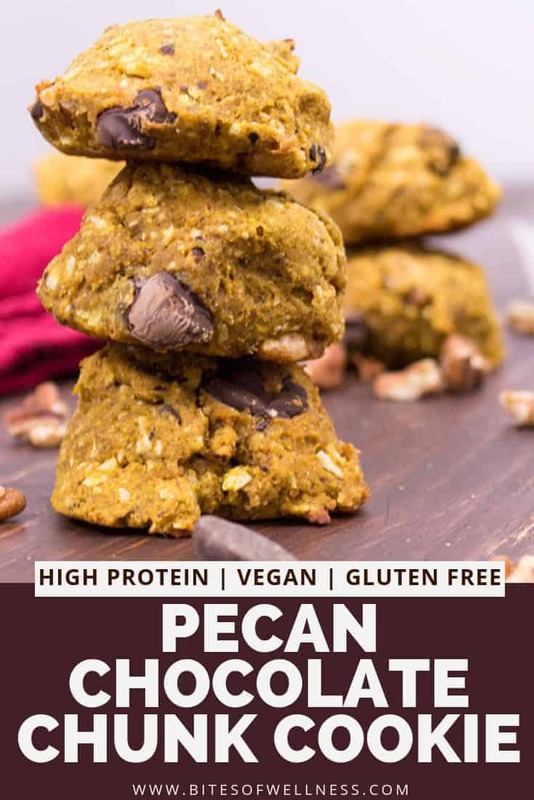 These simple pecan chocolate chunk cookies are not only easy to make but also healthy enough you could even have them for breakfast! 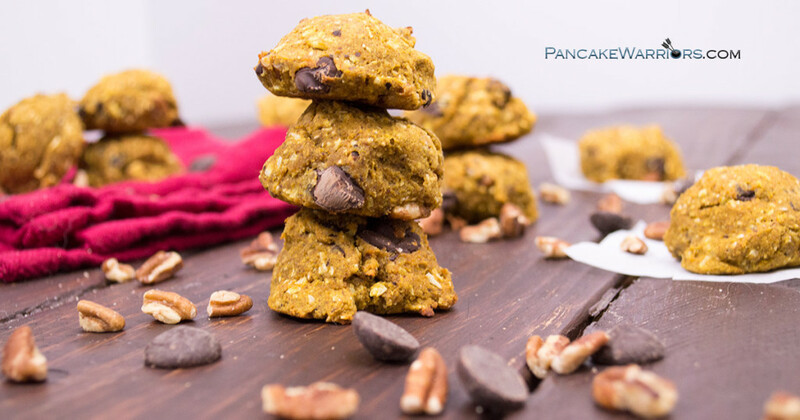 Vegan, gluten free, grain free, dairy free, paleo friendly and packed with protein and fiber these are the ultimate cookies! In a large bowl, mash the banana, then add the pumpkin puree. To the banana and pumpkin mixture, add the chia seeds and unsweetened coconut flakes.Stir to combine. Next stir in the almond flour, coconut flour, protein powder and cinnamon. Mix well to combine, the dough will be thick. Melt the coconut oil and add 1/2 tbs along with the vanilla extract to the dough. Mix well. Add the baking powder, pecans and chocolate chunks. Stir to distribute and combine. Using a tablespoon (I spray mine with coconut oil), scoop out 16-18 cookies on a cookie sheet that has been lined with parchment paper. Bake at 375F for 15-17 minutes until firm to the touch. Allow to cool for at least 20-30 minutes before enjoying. These cookies are amazing warm, so be sure to get at least one before putting them in the fridge for storage! 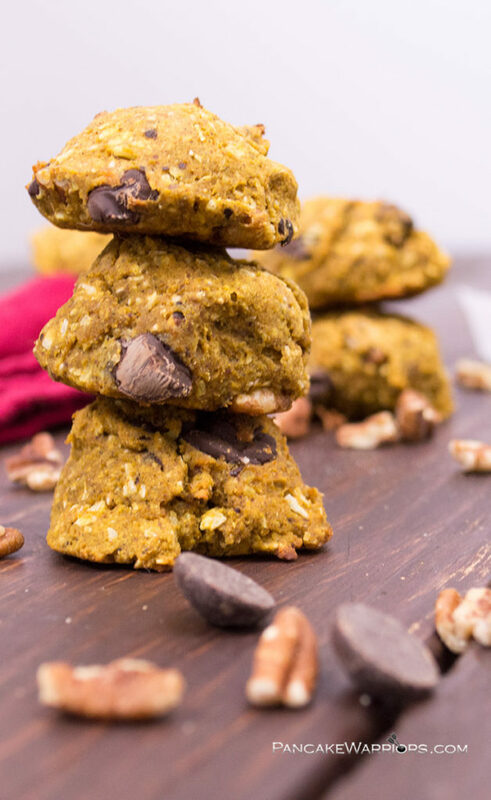 *To make this recipe truly grain free, you may want to use a hemp protein, or a pumpkin or a sunflower seed protein all of which would be grain free. Do you ever have cookies for breakfast? What was you favorite dessert you have ever made? Do you make holiday cookies for gifts? Pecans always make chocolate chunk cookies better. Looking forward to trying these. These look so good. Saw them peeking out at the #homematterlinky party!! These look amazing and a slow-sweet kind of treat! I have not tried the Vega Sport yet, but it sounds like I may have to soon! Your photography looks awesome for this post, girl! Now pass me one (okay, five) of those! THESE LOOK AMAZING. I love a healthier treat like these! I just read today is National Cookie Day. A reason to celebrate!